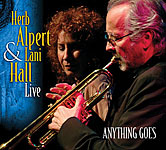 Herb Alpert has been around for ever or so it seems. 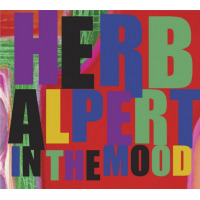 When I think back to the times when I was growing up listening to the ' Spanish Flea ' and ' El Presidente ' with the Tijuana Brass in 1964 , Herb's music has moved with the times like a vintage wine maturing with age and now boasts thirty-three albums recorded over four decades. The seventies brought us the number one selling single and album ' Rise ' and few will forget the memorable funk and fusion album ' Keep an eye on me ' featuring Janet Jackson and the dance floor smash ' Diamonds ' from 1987. My personal favourite album from the many albums I have acquired over the years is ' Wild Romance ' from 1985. 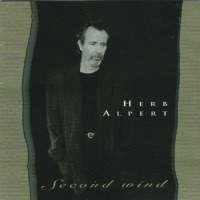 Herb's new album ' Second Wind ' reminds me a lot of ' Wild Romance ' and he teams up with keyboard virtuoso Jeff Lorber whose own album ' State of Grace ' is also enjoying huge success at the time of writing. From the ' Rotation ' sounding title track opener ' Second Wind ' Herb leads us on a melodic trip along the sand of a sunny beach, his muted trumpet sound riding with the crashing waves onto the shore. Jeff Lorber's use of a Hammond and Fender Rhodes sound blends perfectly with this mid tempo groove.
' Wherever you are ' is that classic sound I mentioned from ' Wild Romance ' which I personally adore with Herb playing a laidback solo interplaying with a heavy bass and the solid time keeping from JR Robinson. ' Drivin' Home ' has that ' Rise ' feel about it with a really funky Jeff Lorber on the keys of a sensational Hammond sound. This could have filled the dance floors of the eighties funk explosion with Cameo or George Clinton's Funkadelic. Herb features a version of the Rodgers and Hart classic ' My funny valentine ' which being a Chet Baker fan is also a hard act to follow. Nevertheless this is a creditable performance but the real highlight on the album has to be the pretty ' Flamingo ' featuring Jimmy Johnson exploiting the Jaco Pastorius fretless bass technique. Having grown up on a daily dose of Roy Phillip's Hammond C3 sound of the Peddlers Trio ( a well know London sixties jazz outfit ), this Jeff Lorber sound is music to my ears as Germany's Barbara Dennerlein is the closest match to a traditional modern day Hammond player ( after the legendary Jimmy Smith ). 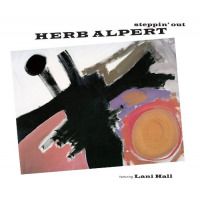 To someone who doesn't know the music and adventure of Herb Alpert, ' Second Wind ' may appear to sound repetitive. 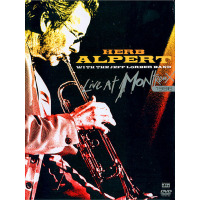 Herb Alpert has never tried to be a Miles or a Chet but stayed loyal to his own brand of trumpet playing which has earned him the respect of the music industry. For so many years he combined his music with the leadership of ' A & M Records ,' now that he has sold his interest in the company and formed the new ' Almo Sounds ' recording label he may have more time to explore what he does in my opinion best of all, blow that horn. This album is perfect to relax to or go for a drive in your car to give you that uninhibited time to unwind and enjoy your day. Don't be too selfish though, share this excellent album with your friends.